← Q Is For Question, Maybe? For years, I have been the person who drags other people to the window or the door to look at sunrises and sunsets. I’m not really sure why that is. Any one who has read BCDC for a while will recognize my sunrise and sunset photos. Wherever I am, I take these photos. I can’t help it. Sunrise, Sunset always reminds me of Fiddler on the Roof. 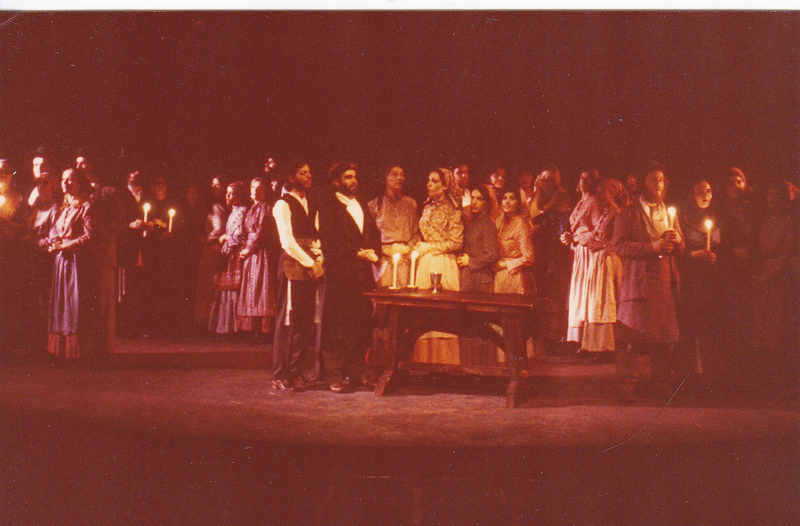 In my cleaning out efforts, I came upon some photos of a college production for which I served as costume mistress. It brings back a lot of memories. This wasn’t the scene where that song was sung, that would have been the wedding scene, but this will serve my purposes today. Sunrises, sunsets and the moon figure in a poem that I wrote many years ago. I’ve never shared any of my poetry on BCDC but today has been a nostalgic day so I decided What The Heck! I wrote this poem, for Ralph of course. It’s dated “12/6/91-4/15/94.” The completion date was Ralph’s birthday and it shows that I was a procrastinater even then. I’m a little shy about this, but here goes. I used to wait for sunset, Watch the sky change Turning to fuchsias and purples Tell anyone who’d listen That they should not miss The beauty. But I didn’t know What I was missing. I couldn’t wait for moonrise Each night, I watched The progress, as her swelling Profile crossed the sky Reminding them They could not miss her beauty. But I didn’t know What I’d been missing. I waited through the Long nights. As the moon Deflated and soon faded From my view But not my memory I told them I truly missed her beauty. And I knew that in my soul Something was missing. But patience was rewarded. Throughout the sunset and The moonrise You have come to Complete the circle To share the sunrise and The moonset. And now I know What I was missing. Some technical difficulties have caused this not to space out correctly, but the words are what matters. To add to the cheesiness of all this, the copy from which I retyped this, has hung on the back of our bedroom door for all these years. Today is the first time I’ve removed it since it was put up almost 20 years ago. So that’s the letter S. Be sure to pay attention to the sunrise and the sunset and the moon. They are beautiful gifts given to us by God and we need to appreciate them. Happy Saturday! We’ll see what I have “T”ime for on Monday! Wow, wow and wow again!!! That’s my sister, the poet! Always has been a poet and always will be! I am so glad that you finally put one of your poems in your blog. I love them. One of my favorites is noseprints on my glasses and the one about Grandpop. You definately need to share those. See world! I told you all that my sister was awesome!…now if I can only get her to make her veggie lasagna for my birthday! Well, Ele…I was thinking about it! We’ll see. I’m so glad you liked the poem! hugs to you for sharing your poem with us today, fran!! THANK YOU! what a wonderful message and i love how it has been hanging on the door for 20 years AND how you wrote it for ralph. i hope you will share again (i see ele has a couple suggestions in her comment!). 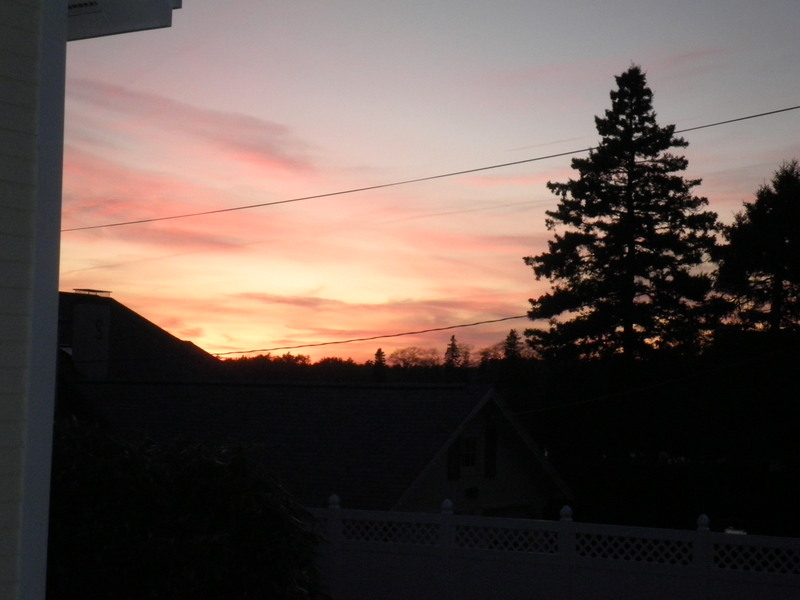 i am very fortunate that the condo casa gets the most gorgeous sunset views – who needs a tv? and when on vacation (florida, aruba) i like to sit and watch the sunset, too. fiddler – a great production! that’s neat that you were involved way back in the day! have a Spectacular Saturday, fran!! Cathy, thanks so much! Glad you enjoyed it. I was frustrated because when I cut and pasted it, it got out of alignment. As long as you can figure out what it means, that’s all that counts. I will try to share some more. I’ve got some on an old 3 inch floppy disk I found in my clean out efforts. Don’t know any one with a computer that still uses floppys!! I’m in trouble! Have a great weekend! One of my friends frequently posts sunset pictures on FB. She lives out in the country, and has a fairly unimpeded view. She also has a lovely eye, Thanks for sharing your pics…they’re beautiful. Thanks for stopping by! Glad you like the photos, I have tons! Please visit again! 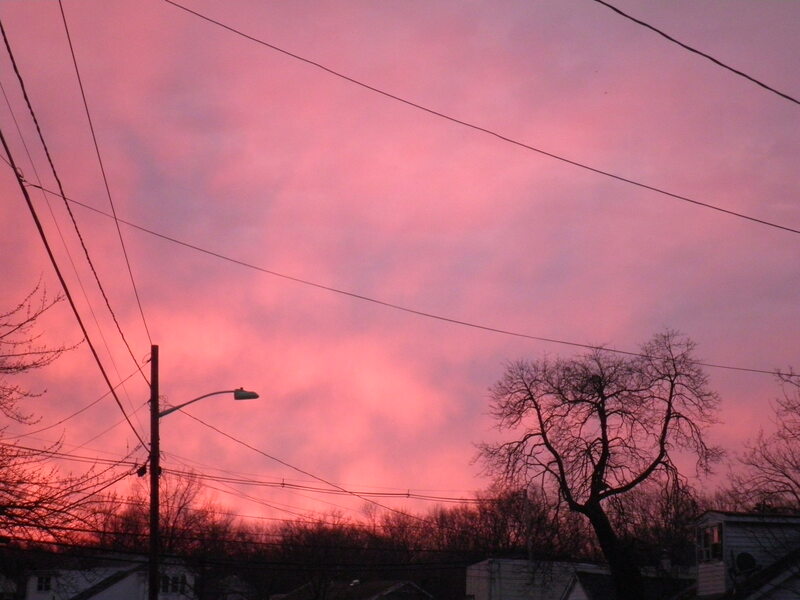 I always love your sky pictures! I really liked the imagery in your poem. Before I read your explanation, I was thinking that it seemed that it needed to switch lines at every capital letter…I was right! I absolutely love the last line of your poem. So beautiful. Thanks, Stephanie! I’m so glad you like it. Next time when I share a poem, and now I think there will be a next time, I’ll have to type it in directly rather than cut and paste. I was in a hurry…Thanks again, sweetie! I’m having technical problems too with my new blogging client and template–hope yours smooth out. Thanks for stopping by! I appreciate it. I’ve been trying to get to all of the blogs, but that’s a tall order. Thanks for your comment on my poem. It didn’t print up right, but glad you liked it anyway!